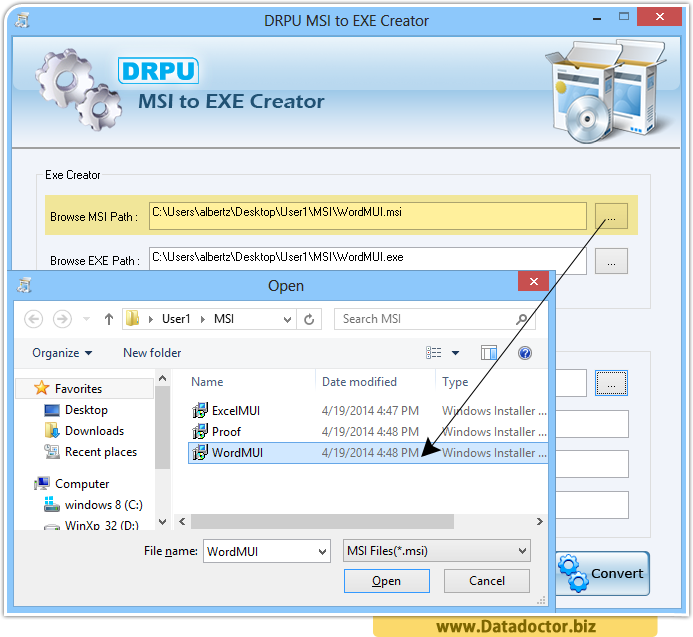 Data Doctor’s MSI to EXE Creator easily creates .EXE (Executable File) from your existing Microsoft .MSI (Windows Installer) files. 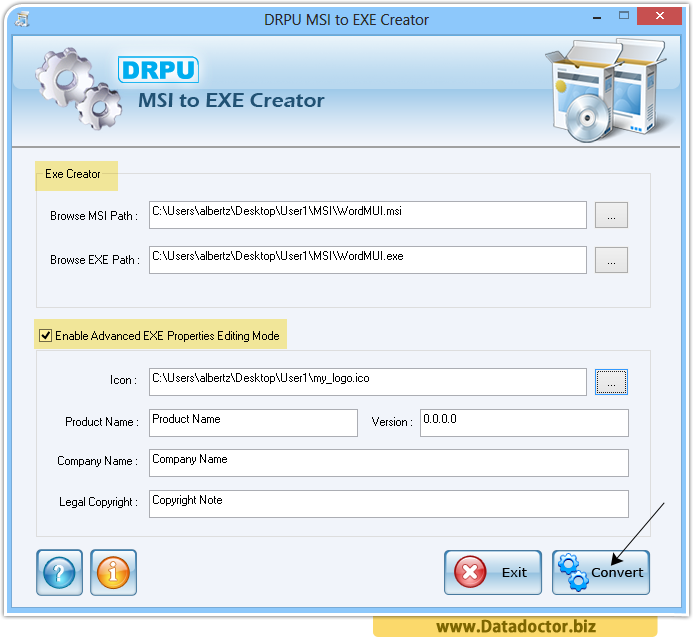 MSI to EXE creator offers you to create installation packages from .MSI to .EXE extension files for your software products in just one single click. 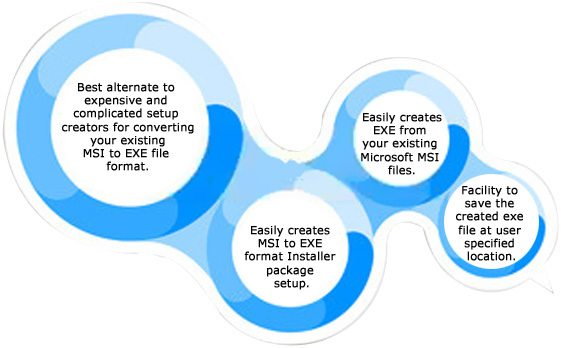 Now you don’t have to search for most expensive and complicated setup maker, the MSI to EXE creator program easily creates Installer package setup from .MSI to .EXE extension files for your Software products. 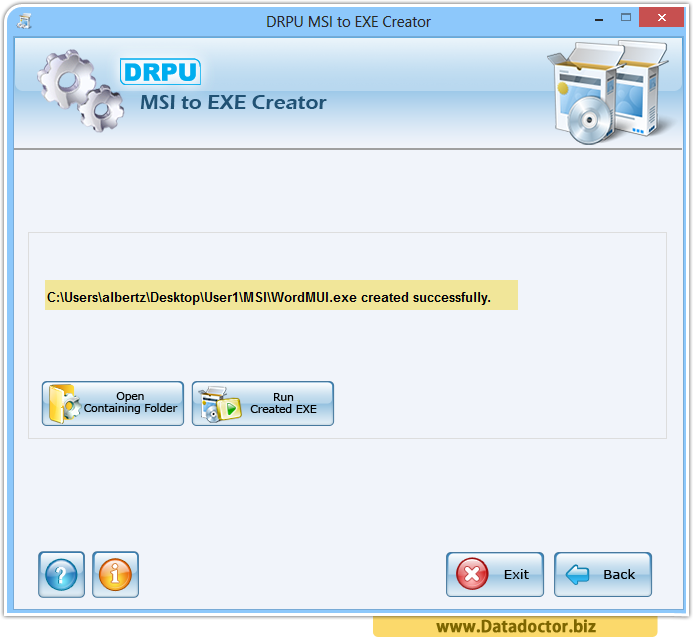 The Setup creator allows you to select the MSI file and then creates the complete installation package setup for you into EXE file. Utility has facility to save the created .exe file at user specified location. In above screen, browse your setup to convert into .exe file. 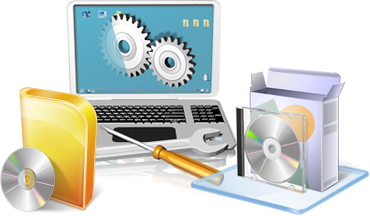 Here, you can choose icon image from your local system that you want to use in your .exe file. 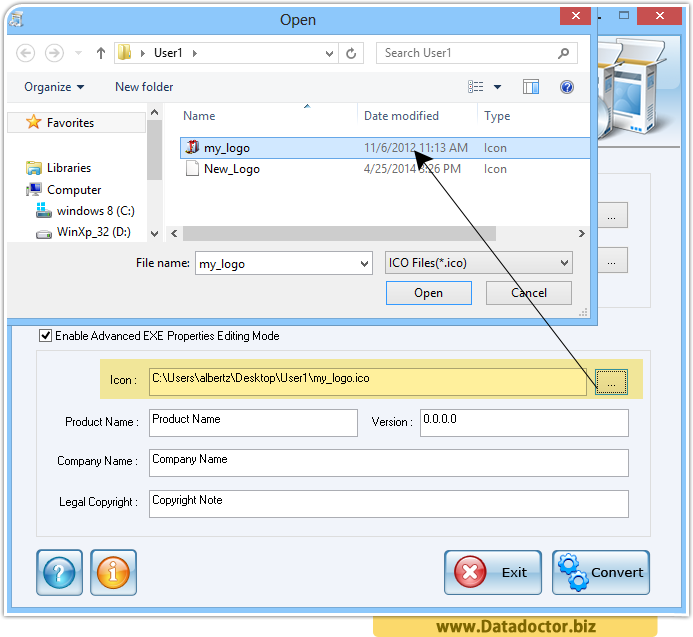 Now click on Convert button to convert in .exe file. Above window shows that your .exe file created now, you can open or run accordingly.